We had a fun weekend over here attending a wedding and spending some time with friends but boy did it fly by? 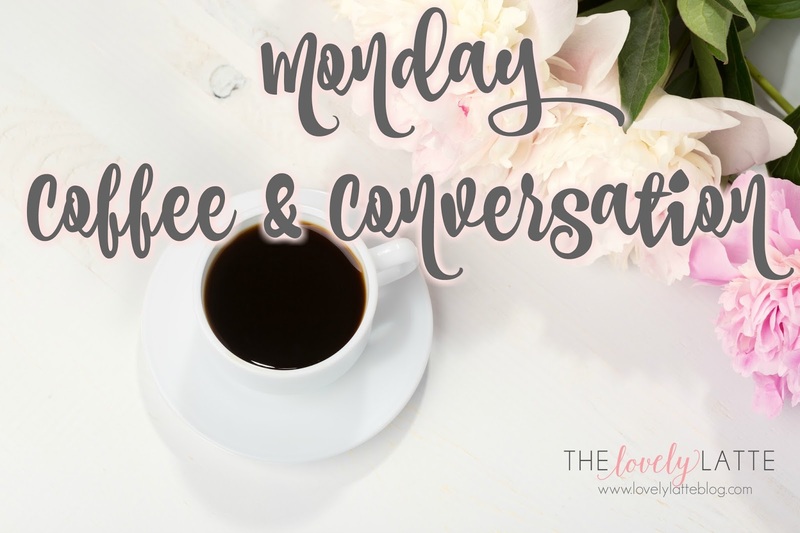 This is for sure going to be a multiple coffee kind of day. The weekend seemed to have taken the cold weather with it and I have no complaints about that. I'm excited to be able to get out for park dates and walks again this week. I am so ready for spring weather since it is the first day of spring after all. We have a lot of really cool trees and plants in our yard thanks to the previous owners but I am sad to report that after the snow and freezing temps last week, the blossoms in our peach trees are shriveled and brown on the trees. So sad! Anyone know anything about peach trees? Are they for sure done for the year now? These two are finally becoming friends. 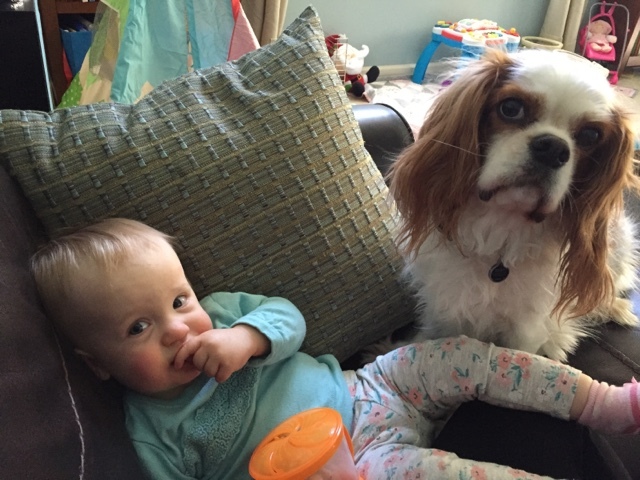 I'm sure the snack cup is a big part of this friendship and that Madeline thinks it's hilarious to feed him Cheerios. This is a big accomplishment because poor Riley has definitely had a bittersweet relationship with Madeline. He's protective of her and wants to be near her but he's also been pretty terrified of her since she started crawling. And jealous. 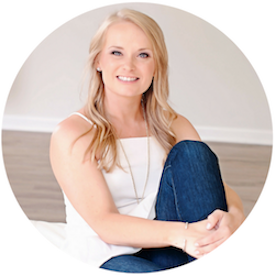 Anyone really struggle with eating healthy because of a busy schedule? Or just drawing a blank on clean recipes to cook for you and your family that aren't super complicated? Then, I have a treat for you! 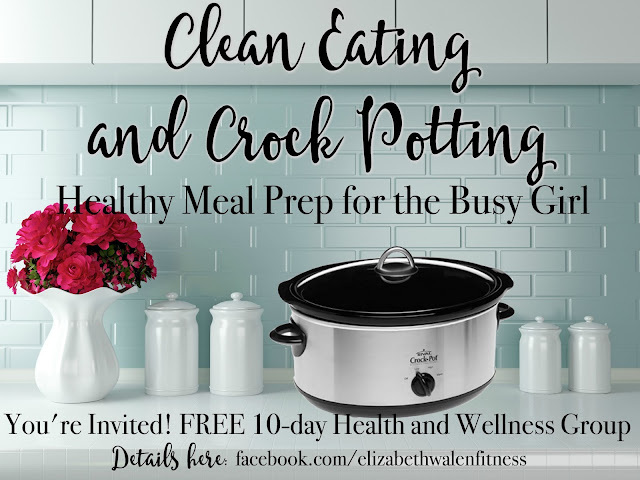 I am hosting a Clean Eating and Crock Pot Cooking group starting a week from today. It's totally free and I'll be sharing some favorite healthy recipes you can make in your slow cooker. Head over to Facebook to get the details on how to register. Madeline has enjoyed being the test audience to a few of the recipes that were new to us. 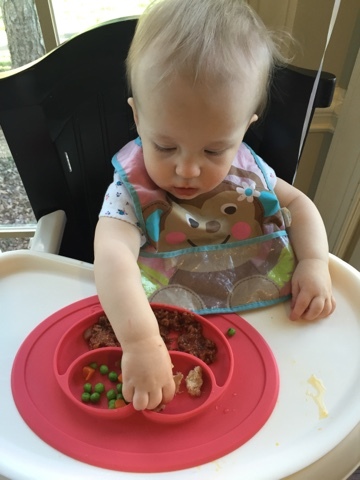 Totally random, but my sister has some of those little plates that you have pictured at the end, and she LOVES using them with my infant niece! So cute, and they seem so practical! Also... you're going to love having Madeline and Riley's relationship grow. <3 My dog was terrified of our three year old for years, but he's slowly been warming up to her. Now he greets her every morning and snuggles with her constantly. It's the sweetest thing in the world! I don't know anything about peach trees, but I hope they aren't done for the year! Hope you still get some peaches!! I'll definitely check out the Clean Eating group!